You’ve played music for years. You play well. Now, you’re ready to Go Pro. 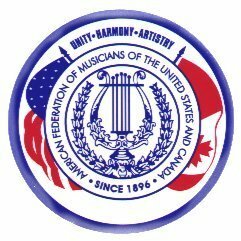 It’s time to join the Musicians’ Association of Saint Louis of the AFM. MASL members are the professionals and the best musicians in town! When you declare your professionalism, you affirm your dedication to entertaining others—and your membership in the AFM proclaims your professionalism. As either a full or part-time musician, your clients know they are getting quality entertainment, dependable service and a reliable business relationship. They know you will show up, perform the music the client and the audience want and do it well. Your clients look good because you are good. The AFM is the only organization that truly represents your interests as a musician and performer. You have access to contracts, referral services and help when you need it. You also join a network of fellow musicians – the best in the world! There are many benefits to membership. Visit the Membership Benefits page. You will also want to check out the brochures listed below. We look forward to welcoming you as a member and the opportunity to support you! Step 1 Contact the Local 2-197 offices with any questions about membership. Step 5 Fill out the forms (they’re easy) and send them in. Better yet, stop by. We want to meet you! Students: The AFM exempts students from paying initiation fees, a savings of $125. The annual dues are the same as the regular members above, with all the rights of full members. Please make sure we have a copy of your current valid student ID.